In collaboration with Simon Fraser University and several religious orders who played a founding role in the history of Montreal, the Collectif d’Anthropologie et d’Histoire du Spirituel et des Affects (CAHSA) organized an interdisciplinary conference on the interaction between individual and collective spiritualities in New France. The conference, which will take place in Montreal from October 13th-15th, 2016, had three goals. Our primary objective, in anticipation of Montreal’s 375th anniversary, was to examine the interplay between personal faith and its collective expression in the formation of New France’s literary, cultural, and material heritage. Missionaries, religious orders, and devotional networks played a central role in establishing France’s North American colonies, shaping a wide range of activities from land ownership to education. The texts, practices, objects, buildings, and traditions forged during the colonial period testify not only to the way French immigrants navigated their encounter with the region and its people, but also to a tension within Catholicism between individual spiritual experience and corporate religion. Life in New France accentuated both the complementarity and the distance between these two poles of religious belonging. Missionaries far from home, for example, encountered themselves and their indigenous interlocutors in ways that stretched spiritual categories. At the same time, French Catholics often sought to organize life in the New World according to models drawn from parish and convent life in France. We aim to investigate this double movement between the soul and its community by drawing together an international body of scholars who specialize in New France and early modern religion. Second, we explored the tension in French between “le spirituel” and “spiritualité,” as well as their overlap with vocabularies current in Anglophone research on religion. In an effort to deepen our understanding of these terms, we began from the premise that “le spirituel” denotes a sensory and affective experience, whether individual or collective, that exceeds faith’s socialized frameworks. Although nourished by the doctrinal, institutional, and theological systems associated in French scholarship with “spiritualité,” the spiritual charts to some degree its own course. 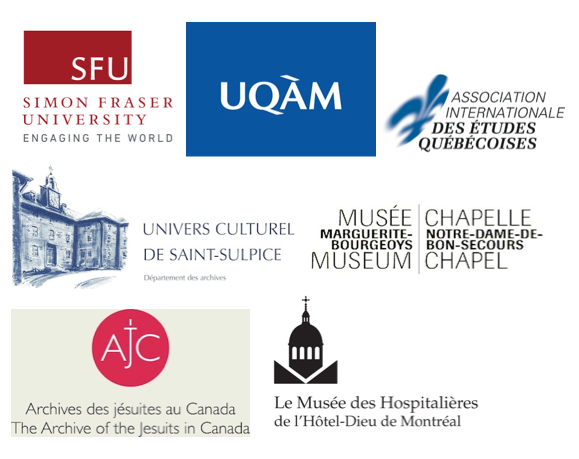 Third, through archival visits and workshops focused on documents and objects from New France’s heritage, we aimed to showcase the richness of archival holdings in Montreal, Quebec, and Canada more generally for questions pertaining to the history of religion. A number of questions animated our gathering. How did the interplay between individual and collective spiritualities influence reformation and evangelization efforts in Montreal and the surrounding region during the French Regime? What role did the individual play in religious orders, congregations, missions, churches, and schools in New France? To what degree did the give and take between personal and corporate religious expression lead New France’s inhabitants to develop distinctly North American identities or, to the contrary, foster a sense that France remained the center?